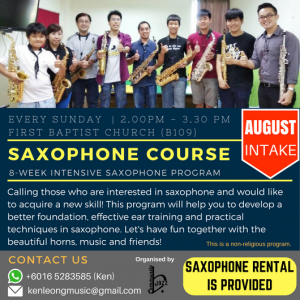 The second intake of 8-week saxophone program by the Community Jazz Band is starting from August 2018, for aspiring musicians, including those at the beginners’ level. This is an outreach program through music. Please contact brother Ken 016-5283585 for more details.